When you are migrating your database in SQL Azure, the first thing you face that how will you schedule your SQL jobs? 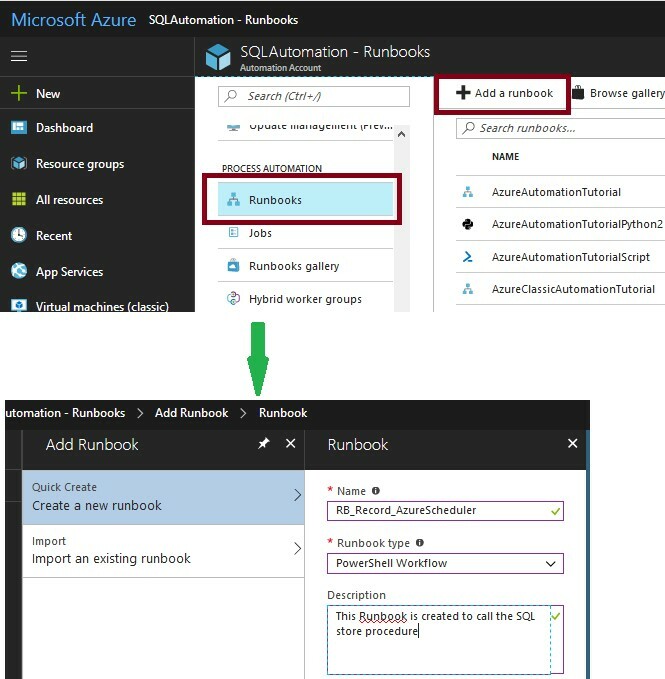 Microsoft Azure Automation provides a way for scheduling SQL jobs by creating and scheduling runbooks. You can automate processes using runbooks. 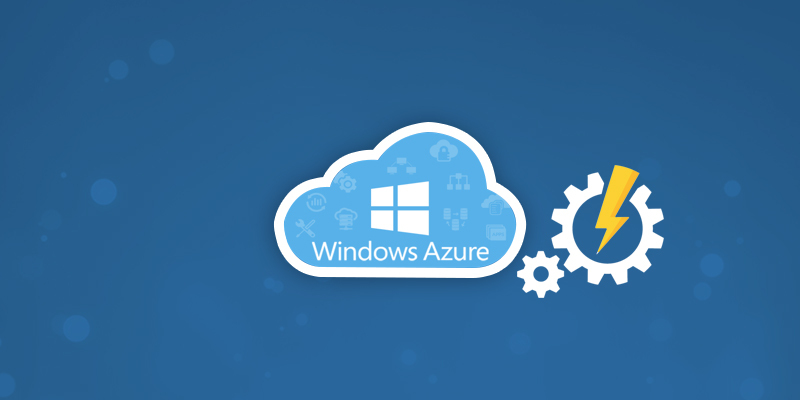 This article provides brief overview of Azure Automation and answers some common questions. Go to your Azure Portal. Click on more service and filter with “automation”. I named the automation account as SQLAutomation, now choose the resource group & location as per your choice. 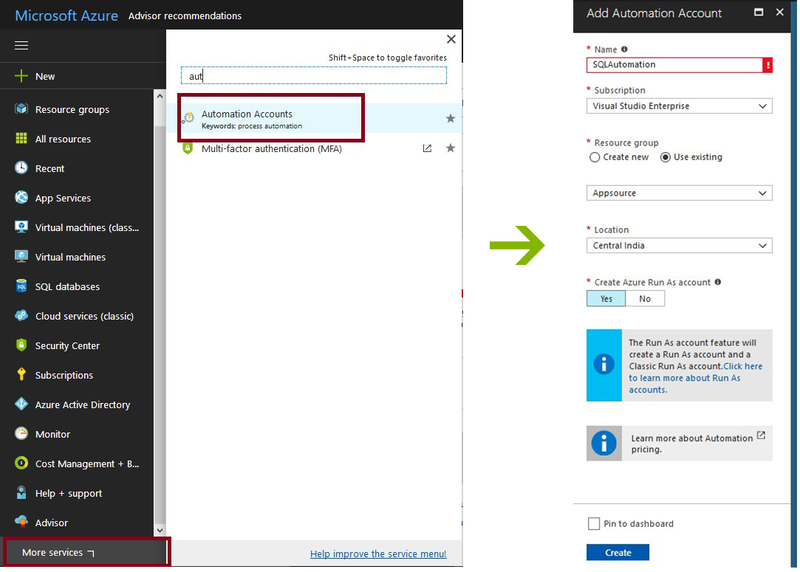 Go to the automation account, and create a new credential for your DB. This is required to connect your SQL DB . Enter the name SQLDBCredential and enter user id & password. This user should have the access in your DB and credential to run the store procedure. Here I am going to create a table and a store procedure. You can use your own store procedure. 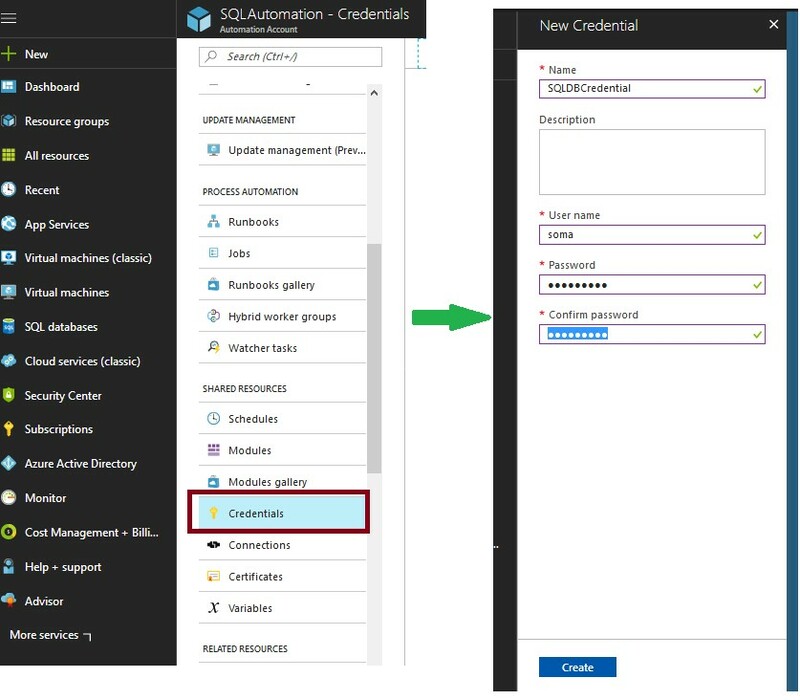 Under the SQLAutomation automation account ,create a new RunBook with name “RB_Record_AzureScheduler”. Choose the type “PowerShell Workflow”. 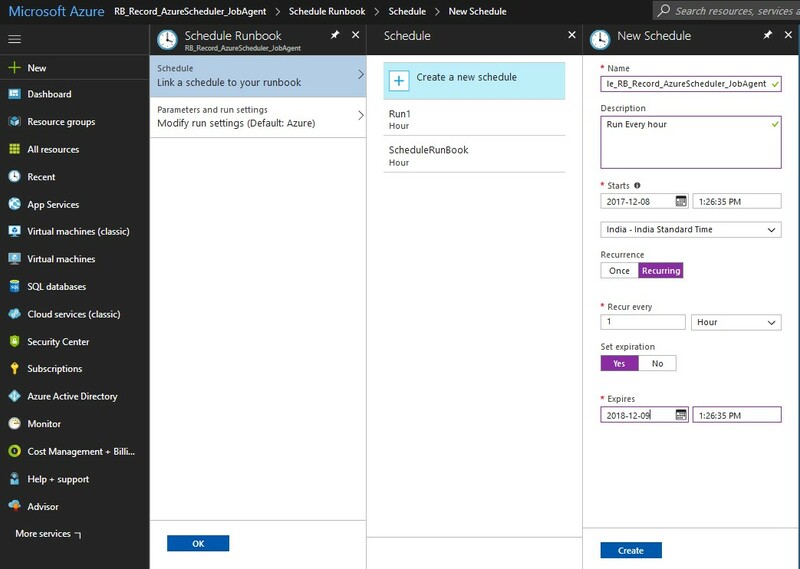 Create another runbook with name “RB_Record_AzureScheduler_JobAgent” with same type, this we will schedule later. #write your own error handling code here. #if required send error message in email. This is the second runbook. Open the runbook and write the code below, replacing your server parameters. Now our RunBooks are ready, we will schedule the 2nd Runbook (RB_Record_AzureScheduler_JobAgent). Save the RB_Record_AzureScheduler_JobAgent RunBook and publish it. Once the RunBook is published you can see the “Schedule” menu in top bar. Ok, great your scheduler is ready. Next Link it with the RunBook. Click on the “Link a schedule to your Runbook” and choose the newly created scheduler. Save it. That’s it! See the below image , the run book is scheduled to run every hour. … and step 2 “This user should have the access in your DB and credential to run the store procedure.” does this mean they get permissions automatically, or does it mean there is an extra step where we give them access that is not in the instructions? Sorry, step 3 is not clear, where do we save the stored procedure? is it inserted in the runbook script or called? I have my sql, is there some part of step 3 that I need to keep or replace it all?